The weeks are going by so fast up at Vennebu Hill. Each week it seems so much construction has been accomplished. And, each week we are reminded of how fortunate we are to be working with KSW. We definitely feel like we are in great hands! We continue to maintain our construction completion date of early May! Check out our Instagram post that shows last week’s construction headway! We’ve got couples booking, site tours happening on the weekends, and a great set of vendors, kitchen contractors, restaurant consultants, and distributors to help us open prepared and without too many hiccups! Helping our couples understand and trust our vision is a challenge, but we are so grateful to the couples that are committed to the ride! They are our pioneers! It will be fun to be the first to have a wedding at Vennebu Hill! 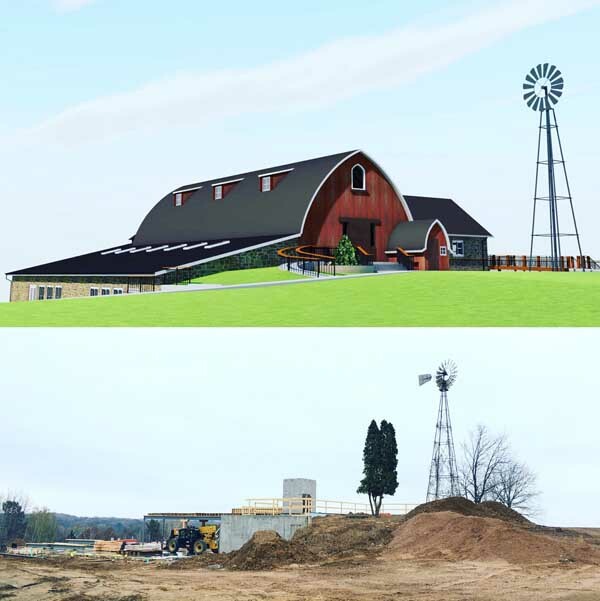 Check out the following Instagram posts that show side-by-side comparisons of construction and renderings. Dining room perspective. Lean To extension in lower level dining area! The bar perspective. Rendering compared to current state of construction.